A kind patron of the site sent along some information from a relative’s trip to Hawaii. The dates on the invoices date the trip: May, 1954. Next time you see some folks in their 70s or 80s, and they look old, like they’ve always been old - well, this was their time. Let’s see how they enjoyed themselves. Shall we quote Wikipedia, extensively? We shall. 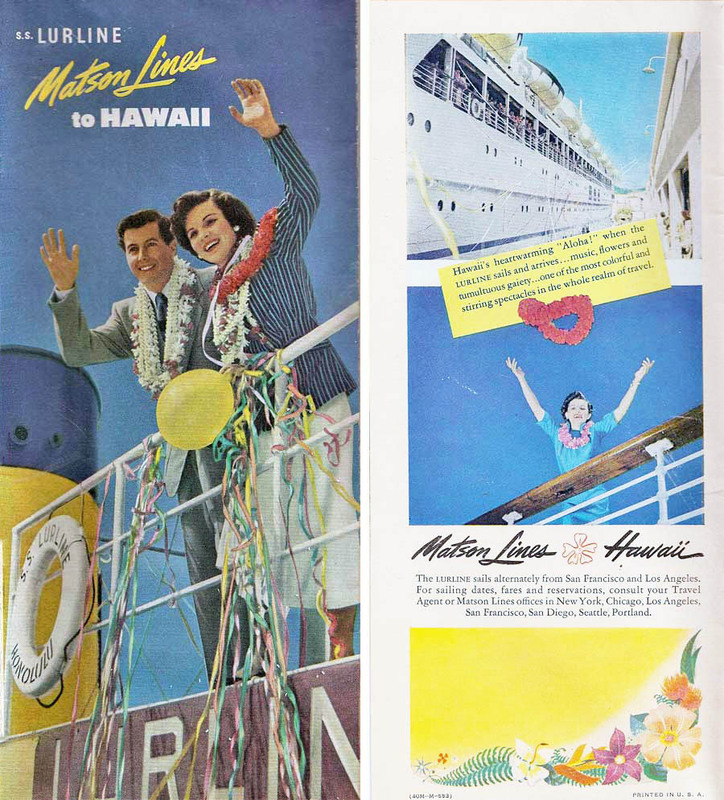 "The SS Lurline was the third Matson vessel to hold that name and the last of four fast and luxurious ocean liners that Matson built for the Hawaii and Australasia runs from the West Coast of the United States. Lurline's sister ships were SS Malolo, SS Mariposa and SS Monterey. As USAT Lurline (aka USS Lurline), she served as a troopship in World War II." This site will reproduce the brochure, and some other things I've found over the years. It's updated with a particular surprise at the end. The site's been updated in 2018, with lots of new close-ups.